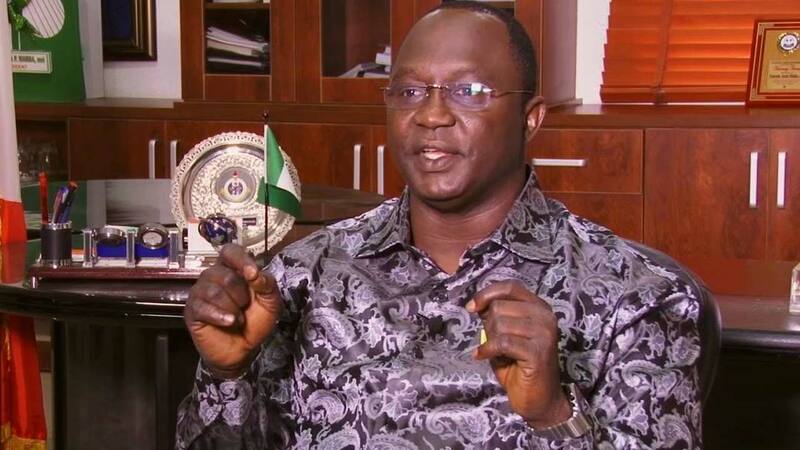 It came as no small relief for all of us that the Nigerian Labour Congress, NLC, suspended its planned November 6 nation-wide strike in its minimum wage struggle. It was a well-timed plan that would have ill-served the country and its people. In an election season when labour roars, the politicians wet their pants. 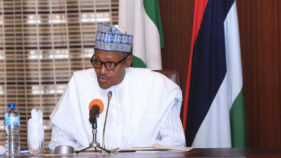 President Buhari is seeking a second term in office. He wants to be seen to be doing well by the people and thus vulnerable to the manipulative demands of labour. A strike action at this time would have seen him labouring mightily to wipe rotten eggs from his face. I suggest we take advantage of the suspended strike action to reflect on at least three critical issues, namely, the economics of minimum wage, the true plight of the Nigerian workers and the unworkability of our military federalism, to borrow my favourite phrase from my good friend, Professor Isawa Elaigwu. What do the workers gain from a new regime of minimum wage thrown at them as a grudging largesse by the federal and state governments? It is fair to acknowledge that the NLC means well in pushing for a higher minimum wage because in its view, the N30,000 it is demanding represents a liveable wage for the workers. In theory the economics of a minimum posits that a higher wage is a just reward for the workers. Earning more puts them on the road towards living as opposed to merely existing on the fringes of life – all things being equal. Except that all things have a bad habit of not being equal. Over the years, a minimum wage regime has not delivered on this rosy promise of a better life for the workers. 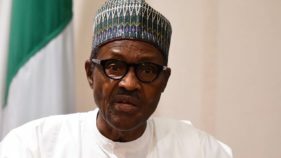 If the current N18,000 minimum wage had delivered on its assumed promise of a better life for all, labour would not be demanding the minimum wage of N30,000. We have seen, not once and not twice, that a new minimum wage regime has dangerous unintended consequences. 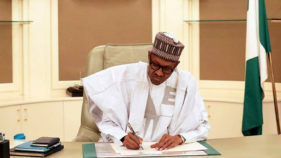 Before the ink dries on the signature of the president, it unleashes the dogs of inflation and promptly renders the sweet victory of labour a hollow, Pyrrhic victory. The workers are left holding improved pay on paper. The Naira is not there. And we and the economy itself suffer. The nature of our economic management is at the root of this. Our economy is still public sector driven. Federal, state and local governments are still the largest employers of labour in the country. The politics of taking our unemployed young people off the streets has consequently resulted in a bloated labour force in the public sector, triggering the inability of the state governments to pay their civil servants and pensioners. No, corruption is not entirely to blame. If the minimum wage is forced on them, they downsize their work force. This worsens the unemployment situation. It should be possible for the NLC to choose one of two evils – less pay for more people at work or more pay for fewer people at work. It is a difficult choice. The pursuit of a minimum wage is an inviting prospect of championing the workers’ cause and welfare. The problem is that it is pursued in isolation of other critical variables in the national economy. The state of our poverty is no longer news. It has confronted us with the truth, to wit, crude oil has not made our country rich in real terms. The free flow of the petro-dollar has misled us into spending big on gigantic projects of doubtful value to our social and economic development and leaves the treasuries in want of Naira. And our development retarded. A minimum wage is not the answer to the problems of the workers. A N24,000 minimum wage proposed by the federal government would give us N24,000 worth of troubles in our troubled economy. And a N30,000 minimum wage demanded by the workers would equally give us N30,000 worth of troubles in an import-dependent economy. A minimum wage is an answer looking for more questions. When the workers receive their minimum wage, rents go up; transport fares go up and the harried house wife makes only one trip to the market with the house-keeping allowance projected to last for at least one month. This being the case, NLC should re-examine its struggle for a higher minimum wage that would only leave the workers with nary any money in their pockets. The real problem with this heroic struggle is that it has always been a captive of emotions. It is difficult to put in a rational word or two for the attention of the labour congress. It should not be impossible for the managers of our national economy to devise an alternative formula for the welfare of our workers such that one Naira is more useful than N100. When one needs a basketful of Naira to buy a handful of boiled peanuts on the streets, the idea that a minimum wage is the panacea for everything that ails our workers fails to sensibly recommend itself for acceptance. As long as our recurrent expenditure out ranks our capital expenditure, the hope dims in the focused growth of the national economy. With or without the new minimum wage, better life for us all is still shrouded in the mist of the future. Ironically the struggle by labour to improve the pay check of our workers appears to have no room for the plight of our pensioners – thousands of them. These were former workers who gave at least 35 years of their youthful lives in the service of the country at various levels in the 37 public services of the federation. Their hope to retire and live the rest of their lives in relative comfort is denied them because their entitlements are denied them. Their gratuities are not paid for years. Their monthly pension pittance is not paid either. These people are no longer members of NLC but they expect the congress to fight for them. Well, a least, I do. Their trauma is not lack of money. We know of the scandalous cases in the pension offices. The pensioners are dying off without enjoying the benefits of what they worked for. How sad. This is where the true plight of the workers can best be appreciated. All workers should look into the plight of the pensioners and see the fate that awaits them at the end of their fruitful days at work. The Obasanjo administration introduced a pension policy that makes pensioners pay for their own pension. Half of their accumulated pension is paid as gratuity and the other half is given to pension administrators to be paid to them as their monthly pension. Surely the NLC is not ignorant of this fraudulent treatment of our retirees. And this brings us to the third point – military federalism. You do not need me to tell you that it is not working. It is one of the reasons people are agitating for either restructuring or true federalism. The right people have wax in their ears and wool over their faces. They refuse to hear or see the damage this strange form of democracy is doing to our democracy. The minimum wage negotiated by the federal each time NLC demands it, is a good case in point. When labour and the federal government come to an agreement, the new minimum wage will be imposed on the states. It is a burden that only a few of them are able to carry with any degree of comfort. If we dismantle military federalism, we would restore to the states the freedom to pay their workers what they can afford. Uniformity, as I have argued frequently in this column, is anathema to the nature and the practice of federalism. It stifles the federating units. Federalism and a unitary system run along parallel lines. The two were never meant to be mixed up.